Shoot through umbrella is a great cost effective way to get a great result. Makes me hungry just looking at it. I like #1 more, mouth watering . And for #3, I think you should let the wrap open so we can see the chocolate inside it. Just my two cents. Nice effort. Michael, these sweet chocolate shots remind me of Charlie and the Chocolate Factory. Found any golden tickets? HAHA No golden tickets yet, and I could sure use one too! "I want an oompa loompa and daddy's going to buy me one..aren't you daddy!" ...and I want it NOWWWWWW!!! Nice I really like these photos. Oh look at those photos as this has been posted here too make us really crazy. I like chocolates much and I am really addicted to it I like to eat different kind of chocolates. Those are very nice and yummy. Chocolate has been one of our favorate type of dessert, aside from its taste it also have a health benefit like anti-aging and help the skin to glow. I brought home some Rio Intag coffee and organic chocolate purchased from Tianguez in the Plaza San Francisco Old Town in Quito. 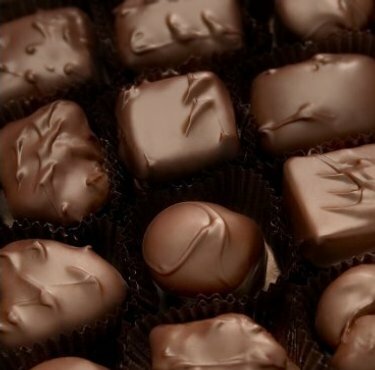 I really like all kind of chocolate and now chocolates are available in many shapes and variety you get in market and here all the photos of chocolate are nice and it really delicious ,and yummy. If it didn't come form Switzerland, it isn't real chocolate, unless of course it came from Belgium; in which case, it's almost chocolate. All others are only trying to live up to the Swiss standard, tounge firmly in check.